In early 2016, two planetary scientists declared that a ghost planet is hiding in the depths of the solar system, well beyond the orbit of Pluto. Their claim, which they made based on the curious orbits of distant icy worlds, quickly sparked a race to find this so-called Planet Nine. What’s more, Batygin and Brown also predicted that over time, Planet Nine’s gravity would push these Kuiper belt objects out of their current plane and into ever-higher orbital inclinations. Although astronomers have already spotted a bizarre population of worlds that orbit the sun perpendicularly to the plane of the solar system, they had never caught an object transitioning between the two populations. 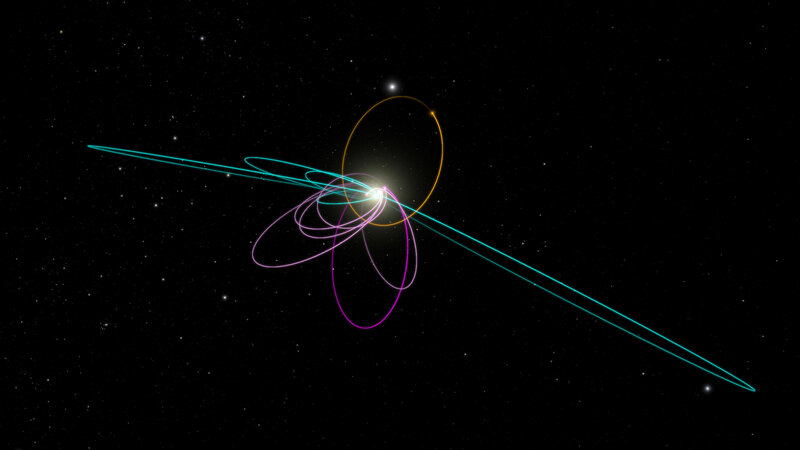 “There’s no real way to put something on an orbit like that — except that it’s exactly what we predicted from Planet Nine,” Brown said. Batygin notes that the new object fits so perfectly with their model that it almost looks like one of the data points in their simulations. “A good theory reproduces data — but a great theory predicts new data,” he said. The Dark Energy Survey first detected evidence for the new object in late 2014. Gerdes and his colleagues have spent the years since then tracking its orbit and trying to understand its origins. 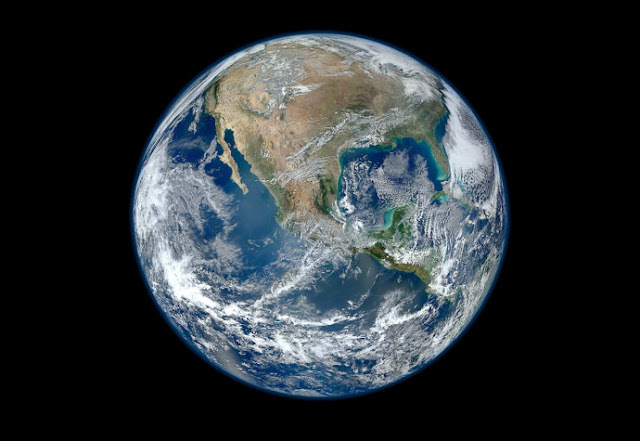 In the new paper, they describe how they ran many simulations of the object within the known solar system, letting the clock run forward and backward 4.5 billion years at a time. Nothing could explain how the object landed in such a tilted orbit. 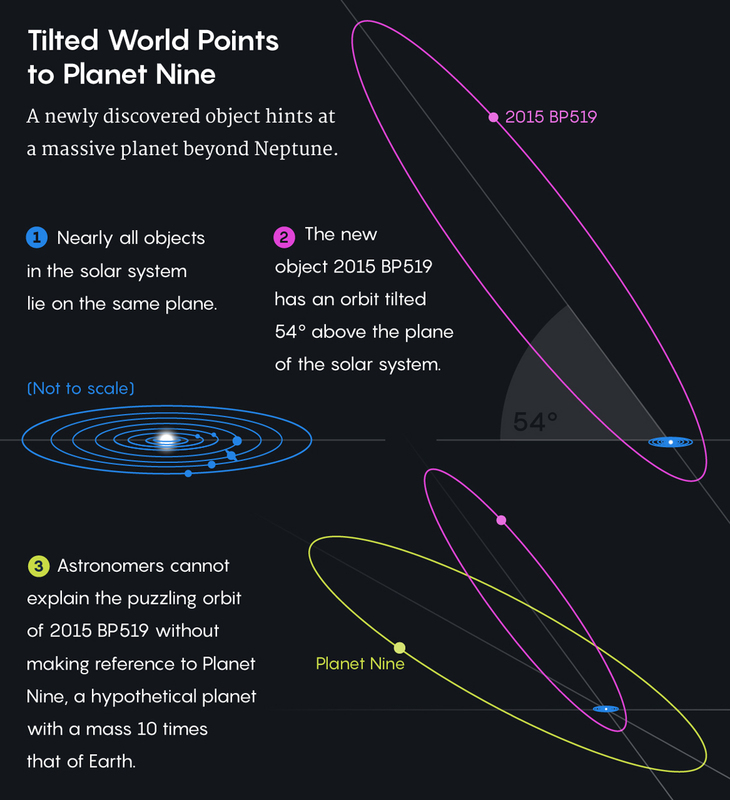 It wasn’t until they added in a ninth planet — a planet with characteristics that perfectly match Batygin and Brown’s predictions — that the wacky orbit finally made sense. Updated version of the previous article. This article was reprinted on Wired.com and Wired.jp.